The verdict? Delicious! The sweetness of the Myer's offered a great contrast to the bite of the Reed's. Eventually I worked my way through the Myer's. It was time to replenish my supply of dark rum. I did a bit of research, and discovered that Dark & Stormys are usually made with Gosling's Black Seal Rum. 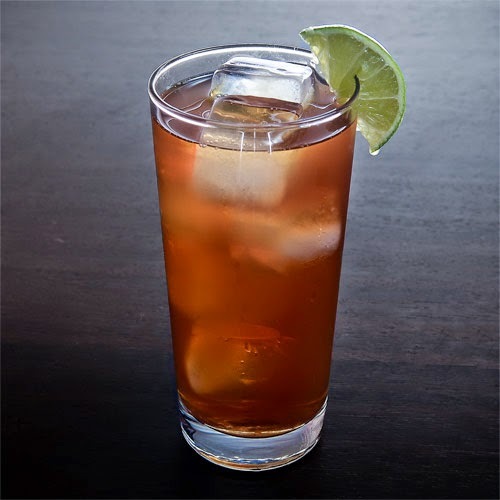 In fact, Gosling Brothers apparently holds the trademark on the Dark & Stormy, and a Dark & Stormy isn't really considered a Dark & Stormy unless Gosling's Black Seal Rum. (Sorry, Myer's!) So off to the liquor I went, and returned with a bottle of Gosling's. 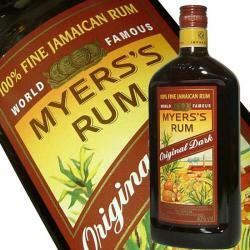 While the faux Dark & Stormy made with Myer's was delicious, the real deal made with Gosling's was even better. The interplay between the flavors of the ginger beer and the rum just worked better. While I still love a good Negroni, the Dark & Stormy will definitely be added to the roster of my drinks of summer, especially late summer, when the trade winds are blowing and the nights are just a tad bit cooler.